Arsene Wenger has infuriated fans once again, with his latest comments sure to push a number of supporters over the edge. The Frenchman has claimed that if everyone at Arsenal were fit then there would be no need for any additions in January. Arsenal have been severely lacking in a number of areas of the pitch for years now, and with their ongoing defensive crisis fans would be even more furious if the manager failed to bring reinforcements to the club this winter. The reactions on Twitter show just how angry some of these fans already are, with many feeling Wenger is yet again ignoring the needs of the club. 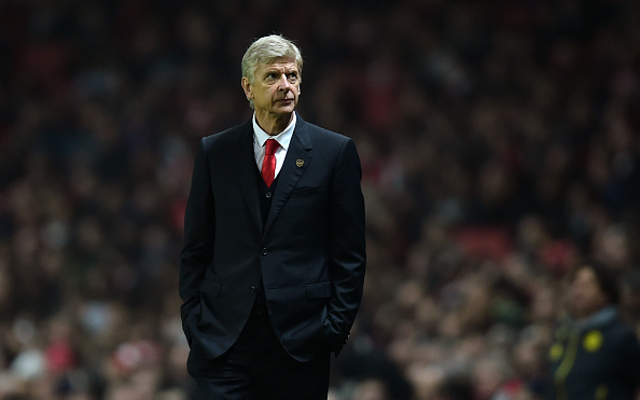 With Newcastle at the weekend, Arsenal will already have to field a makeshift defence. Laurent Koscielny and Nacho Monreal have been ruled out with injury, while Calum Chambers is suspended. This leaves the Gunners with just one recognised centre-back in the shape of Per Mertesacker, meaning either Mathieu Debuchy will have to move inside or one of the academy youngsters will have to step up. If everybody is fit? If we he doesn’t buy defender he has to go. Wenger is so stubborn it’s unbelievable. Keeps making the same mistakes. You have to hand it to Arsene Wenger. He’s got fantastic banter. Surely Wenger is merely covering his tracks with these comments, protecting himself from any backlash in January. If he were to promise three signings and managed none then there would understandably be outrage, whereas if he talks down any moves and ends up bringing two players to the club then he will surely be praised.